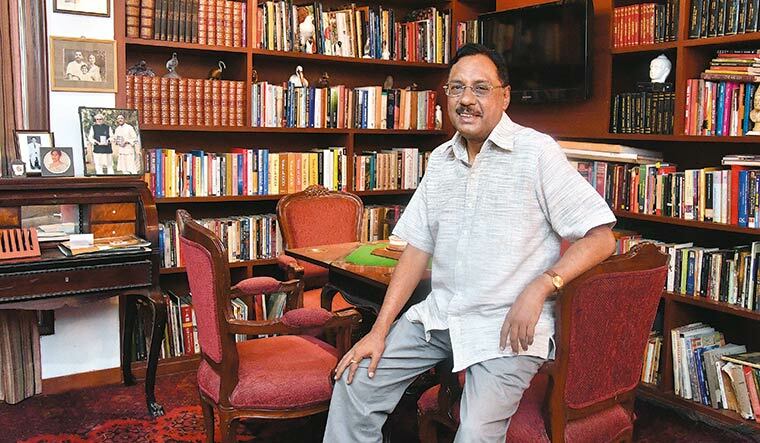 Pavan K. Varma, former diplomat, politician and writer, visited places that he hoped would tell him something about Adi Shankaracharya, for his book Adi Shankaracharya: Hinduism’s Greatest Thinker. At Kaladi, he learnt that the place was forgotten until the late 19th century, when the 33rd pontiff at the Sringeri Mutt began a search for the birthplace of Shankara. They found three villages with the name of Kaladi. But, apart from the Purna river, what clinched the evidence for the research team was the sight of a group of ladies lighting a lamp on a stone pillar in the corner of their home. They said it was the spot where Aryamba, Shankara’s mother was cremated. At Omkareshwar, the author visited the cave where Shankara met his guru, Govindapada, and heard many stories of the philosopher’s stay as a student mastering Advaita. It was here that Varma was told not to focus only on Shankara’s philosophy, but also on his service to people and formation of centres where Advaita is preserved. It was in Kashi—modern day Varanasi—that nobody had a clue where Shankara lived. Scholars in Kashi shared with Varma their interpretation of Hindu philosophy and the Advaita doctrine developed by Shankara. Each one had a different take. Tempers rose and opinions clashed. Though there was peace an hour later, Varma felt like he had been transported back to a time when Shankara would have been in the midst of a “shastrarth”—a debate. The author traced the civilisational map that Shankara drew, by locating the four mutts—Sringeri in the south, Dwarka in the west, Puri in the east and Joshimath in the north—as he did, centuries before the idea of modern-day India was born. It is for the “vigorously analytical mind in terms of developing a philosophical doctrine” like the concept of Brahm which is cosmic consciousness, and defining it in terms which are so remarkable for his times. Varma calls it Shankara’s “audacity of thought”. Recent experiments carried out in the labs of Harvard University are showing that although the brain itself is a material substance, it has a witnessing observer called the ‘sakshin’, and that in moments of deep meditation, the very configuration of the brain changes. Neurology shows that within you there is that ‘aatma’, and in that moment of the deepest meditation, you have a sense of unity and wholeness which is that of Brahm, reasons the author. “Hinduism is a very wide canvas, it has accommodated many strands. When people get adrift, unaware of this philosophical background, they begin to take the ritual for the substance. Much of which is in evidence today. By self-anointed protectors of Hinduism, who know nothing about the whole notion of shastrarth, of debate and dialogue between different views of Hinduism, within Hinduism. They know nothing about the philosophical foundations of Hinduism,” writes Varma. He does not want Hinduism to be devalued by the illiterate claims of those who say that plastic surgery, artificial insemination, the internet or jumbo jets were present in India centuries ago. Instead, he would like India to see how Hindu philosophy preempts latest scientific discoveries. Much of the writings on Shankaracharya, so far, have been just a representation of his writings, often in pamphlets. There have been various attempts to put together a biography, or as part of works on the mutts. In this book, it is all about the sage’s audacity of thought, and the scientific validation of the concept of Brahm. 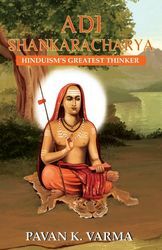 Some of Shankaracharya’s commentary and verses have been presented separately in fair measure, with translations by scholars. The book is being translated into eight Indian languages. It is scholarly, for sure, with original insights.